Kathryn Craft on THE FAR END OF HAPPY + a GIVEAWAY! Many writers derive ideas for their novels from personal experience, but perhaps none so personal as a husband’s suicide — the tragic event that became the basis (some 17 years later) for Kathryn Craft’s stunning new novel THE FAR END OF HAPPY. Craft’s sophomore effort is the chilling story of one troubled man, the family that loves him, and the suicide standoff that will change all of them forever. We caught up with Craft to discuss her new book, her lack of singing talent — and pie. Always, pie. THE ART OF FALLING was released to pretty incredible reviews— because of that did you feel more pressure while writing THE FAR END OF HAPPY? Why or why not? And if so, how did you deal with the pressure? Thanks! I have been thrilled that readers are connecting with The Art of Falling. I worried incessantly about the dreaded sophomore slump—until Sourcebooks passed over my completely conceived book two proposal and offered instead on book three, a sketchy two-page synopsis proposing the novelization of my husband’s suicide standoff. Their confidence in a project that I had not yet fully conceived helped quite a bit. Shock prevented me from any further concerns about dealing with the pressure. For seventeen years I’d drafted memoir material, knowing that I’d one day write about the day’s events. Can you be more prepared? I sensed the story’s arc, could feel its power, and was intrigued by the notion of constraining it to the day of the standoff. The contract started the clock ticking: I had ten months, from which I’d have to subtract the six weeks needed to launch my debut, to write The Far End of Happy. Was I equal to this calling? Could I pull this off? Anxiety rose within me. It felt familiar—I’d felt the same way at the thought of raising my boys, who were eight and ten at the time of the suicide, alone. So I kept my eyes off the horizon and on my very next step, where motivation and goal dictated the story I was writing and the story I was living, and where external pressure could find no purchase. And one step at a time, I finished. I have a cottage on the shore of a lake in northern New York State where I’ve spent at least some time every summer of my life. It is my constant, my heritage, my true north, the source of my constant rebirth. It shows up in my dreams: when I’m stressed the lake might be dried up and cracked like the salt flats; when I’m blocked an ocean liner might be wedged between the shore and the nearest island; when inspiration is on the way an orchestra might be set up in the shallow water. I like to travel, too, but to me this lake’s gifts are endless. I was a dancer, an equestrienne, and am now an author for one reason: I did not have the pipes to be Barbra Streisand. Oh, to be able to move people with the sound of your voice! My older son is a lyric baritone—but I’ll have to settle for listening to him and moving people with my writing voice. Really. It’s best. I bake awesome pies. Everyone in my family will tell you this. If there is a gathering, I am assigned the pies. This is why: I can read directions, and am willing to, including the section in The Joy of Cooking, “About making pie crusts.” When I tell my family that they too can do this, they insist that none of them can conjure my trademark flaky magic. Pie baking takes more time than mashing potatoes or popping a turkey in the oven; I suspect manipulation. 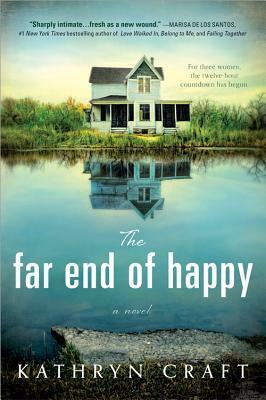 GIVEAWAY: Comment on this post by Noon (EST) on Friday, May 15th to win a copy of THE FAR END OF HAPPY (US and Canada only). Follow The Debutante Ball on Facebook and Twitter for extra entries—just mention that you did so in your comments. We’ll choose and contact the winner on Friday. Good luck! 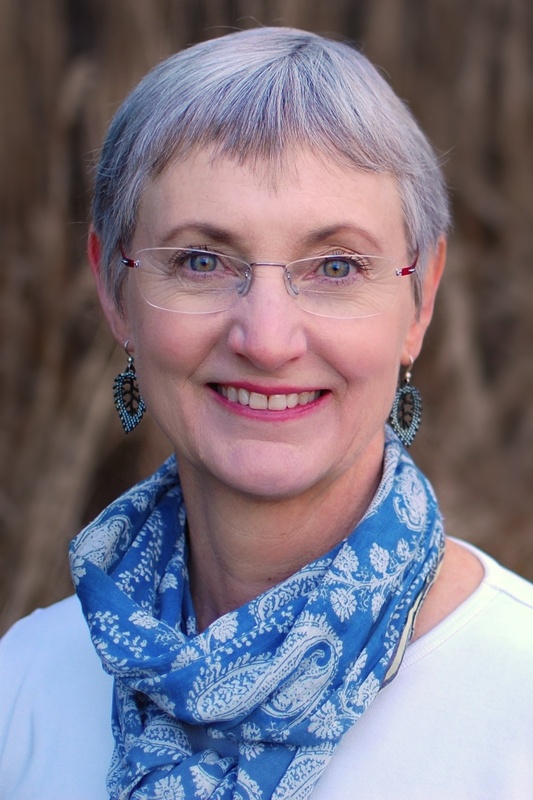 Kathryn Craft is a freelance developmental editor and the author of two novels from Sourcebooks: The Art of Falling and The Far End of Happy. Long a leader in the southeastern Pennsylvania writing scene, she hosts writing retreats for women, leads workshops, and speaks often about writing. Check out Kathryn’s new website, where you’ll find excerpts from her novels, a range of places to purchase them, and links to memoir essays she’s written about the loss of her first husband to suicide. While you’re there check out her articles for writers! You can also follow her on Facebook, Twitter and Goodreads. Thanks Colleen, Amy, Karma, Sona, and Shelly (what a great blog crew this year!) for hosting such a fun interview. Enjoyed it! I already have this book in my Goodreads TBR list and I can’t wait to read it. I really enjoyed reading the interview. I love to bake, but I must admit I haven’t quite found the perfect pie crust recipe. Do you use butter or shortening in your pie crust? Or both? Would you mind sharing the recipe? Sorry to be late getting back. Busy launch weekend! I used to use the butter recipe in Joy of Cooking but over the years I’ve gone to the standard Betty Crocker recipe (for two-crust: 2 C flour, 2/3 cup shortening, 1 tsp salt, 6-7 tblsp of cold water). I think the trick is to be gentle with it. I scoop most of the crumbled together flour/salt/shortening mixture to one side of the bowl and sprinkle 1 Tblsp of ice water over the rest, let it soak in a bit, then use a fork to scrape it to the side. Then repeat just until the dough will stay in a ball. Turns out super flaky 100% of the time! I cannot wait to read this book. I have been waiting anxiously since reading about it in Bookpage. This book looks like a great read. It has come up time and time again in my recommendations and it has piqued my interest for sure. Thank you for the opportunity to win a copy. I have also followed you on Twitter and FB. Thanks so much for your interest and support, Laura! Fun interview! I finished Kathryn’s amazing book days ago and still can’t stop thinking about the story. Tori thanks again for all of your support! Eager to return the favor when your debut is on deck! inhave the book so no need to enter me. I just wanted to say Kathryn is not only a brilliant writer, but she’s also got a wicked sense of humor. Go Kathryn!!! Kathryn, I really look forward to reading your book. This is a very good interview. Thanks for the chance to win. You’re welcome Jenny. Good luck! Okay this is weird—I just mailed out a book to a “Caryn” in another contest! Did a double take! And iI’m already following you on Twitter! Kathryn, I always learn something more about you from each new interview. Pies?! Singer?! Now I understand even better the thrill of your son’s career in music. I would love to hear him sing. I am partial to baritone voices! I would love a signed hard copy of The Far End of Happy. The preorder showed up on my Kindle on 5/5, as scheduled. I read it in 2 evenings. It is a heart wrenchingly beautiful book. You are my hero! A wonderful interview and an emotionally beautiful book. Thanks for this great feature and giveaway. Thanks for your kind words, Ellie! When I first learned of this book, I wasn’t sure if I wanted to read it given the subject matter. However, as I continue to read everyone’s thoughts and comments, I now know that it is one that I have to read. Thank you. Thanks Kimberly. I worked hard to include the full spectrum of human emotion in this book. Because the truth was, even though the day of my husband’s standoff offered extreme challenges, to the rest of us caught up in the day’s events, it was still a day worth living, and one that offered up small joys. That notion was the impetus behind my #choosethisday Twitter campaign. I have several friends who have lost people they love to suicide. There is no such thing as a happy ending for two people brought to such distrust, rancor, and divisiveness that one of them wants to kill himself. This is a definite must read!! This looks like a great read. THank you for the chance! This sounds very interesting and I love to read. Intriguing premise-I look forward to reading your book.